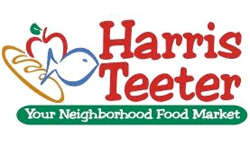 Here’s a list of sales from the Harris Teeter Super Doubles Ad running 4/15 through 4/21. In this list we have Arnold bread, Cheez-Its crackers and Yoplait Greek yogurt for FREE! That’s on top of Kraft cheese for 49¢, Special K bars for 50¢ and lots of pet food on sale. Coupons $2 or less will double! Also limited to 3 like coupons.